Could you sleep last night? 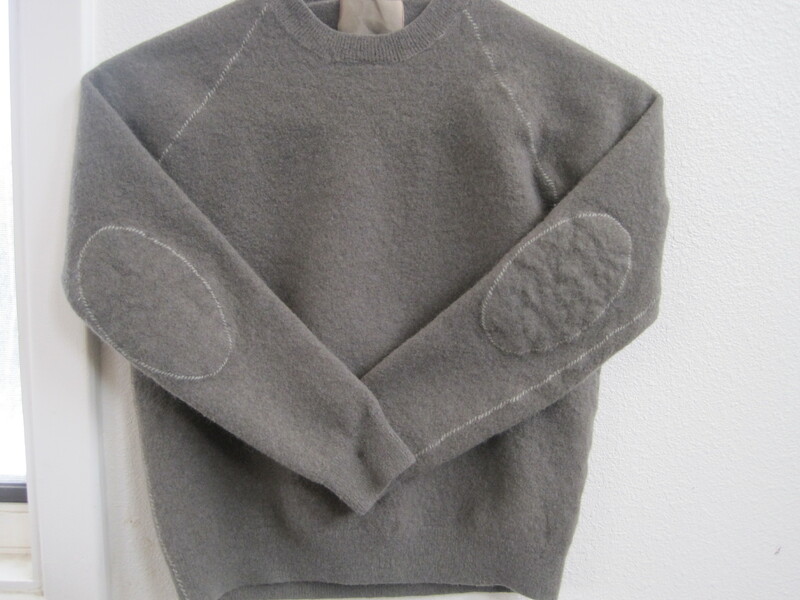 Or were you awake thinking about reading my next post about sweater hunting and felting? Here are the rest of the sweaters from the photo documentation of felting results. 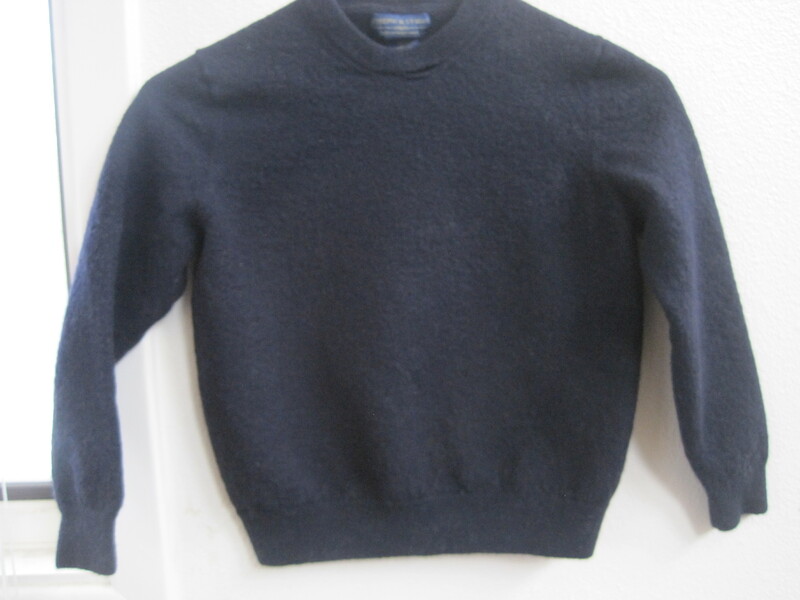 This is a Banana Republic sweater made of 95% lambs wool and 5% cashmere. I love how this felts up. 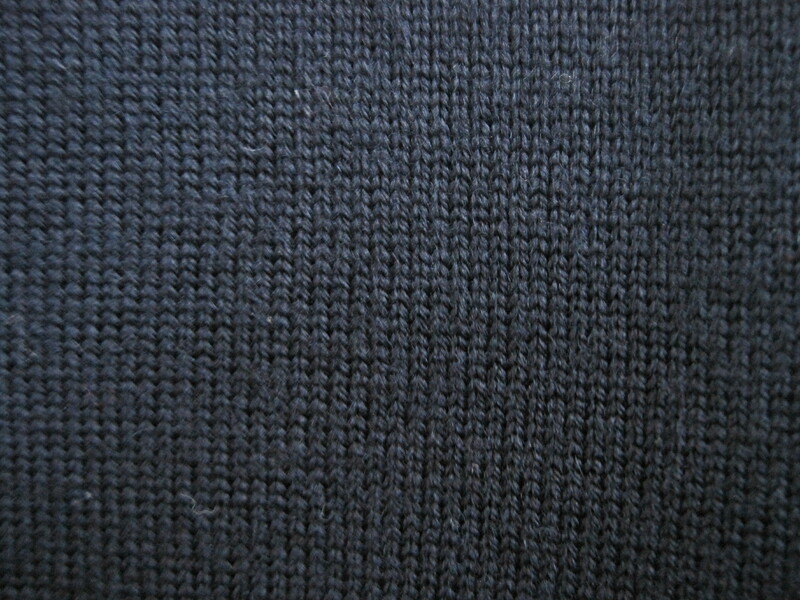 The cashmere gives it softens and the wool makes it a bit thicker than merino which I like. I am not a big fan of cashmere.. It is great mittens and scarves, but not really thick enough for my purposes. But when it is blended with wool it is great! This sweater is a great one with super detail. 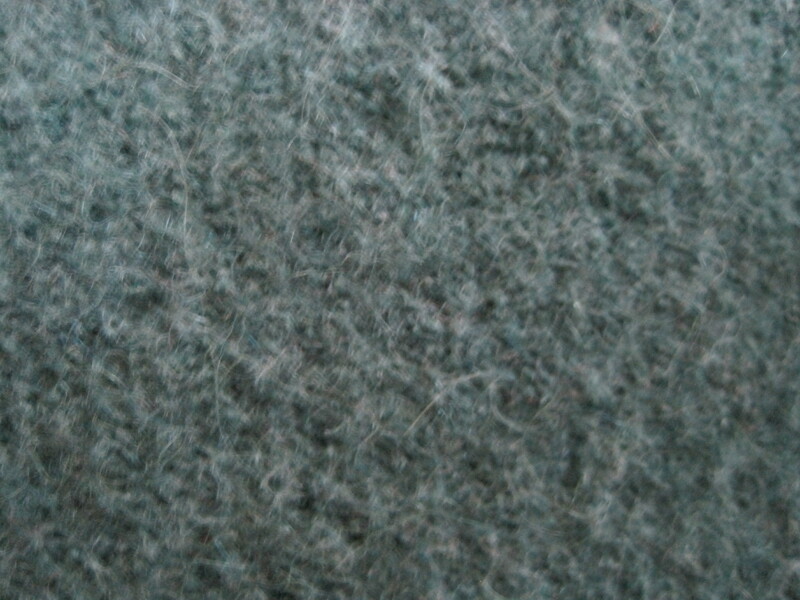 Here is the un-felted close up of this sweater. I cannot wait to do something fun with those elbow patches! This really pretty in person. One very good way to tell that a sweater is not really what it says, is to look at the washing instructions. If it says you can can machine wash a sweater then most likely it is made with a synthetic fiber that the clothing company is not listing. 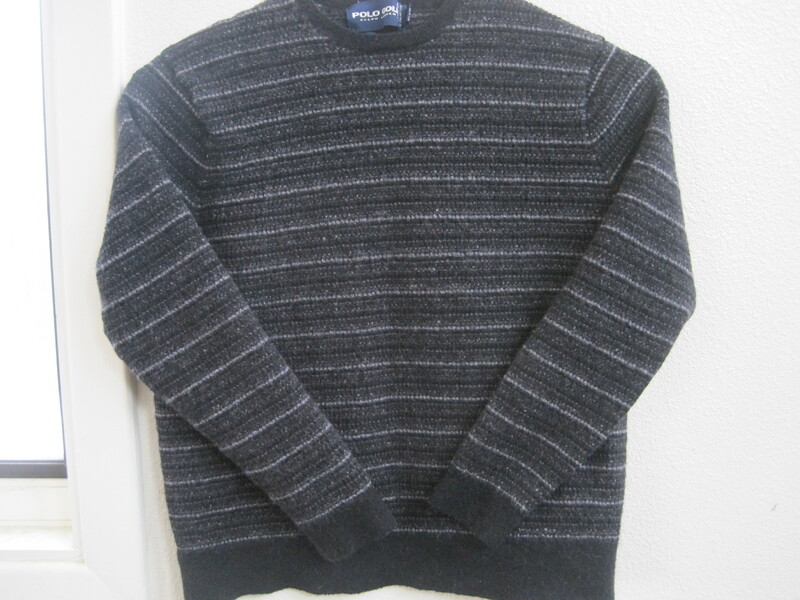 Next up is a 100% merino wool sweater by Ralph Lauren. 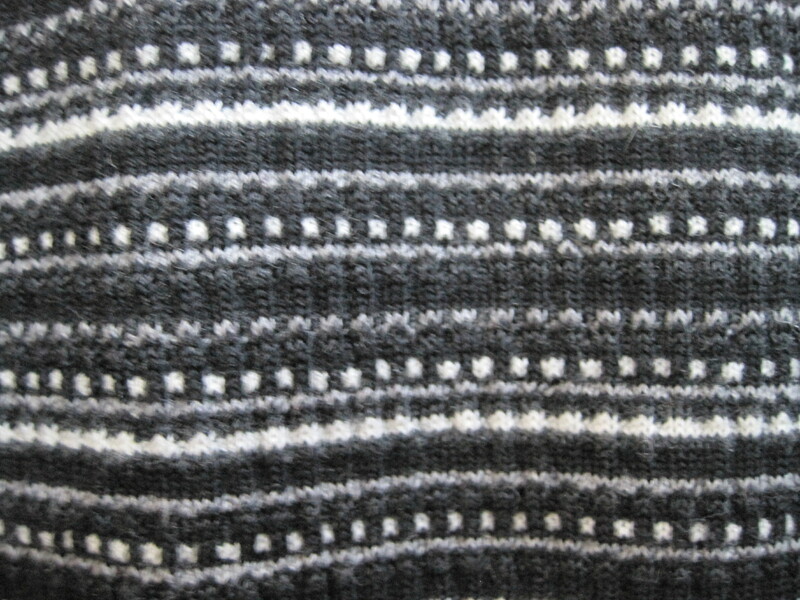 Because it is a multi-yarned sweater it will felt up denser than a single yarn sweater. 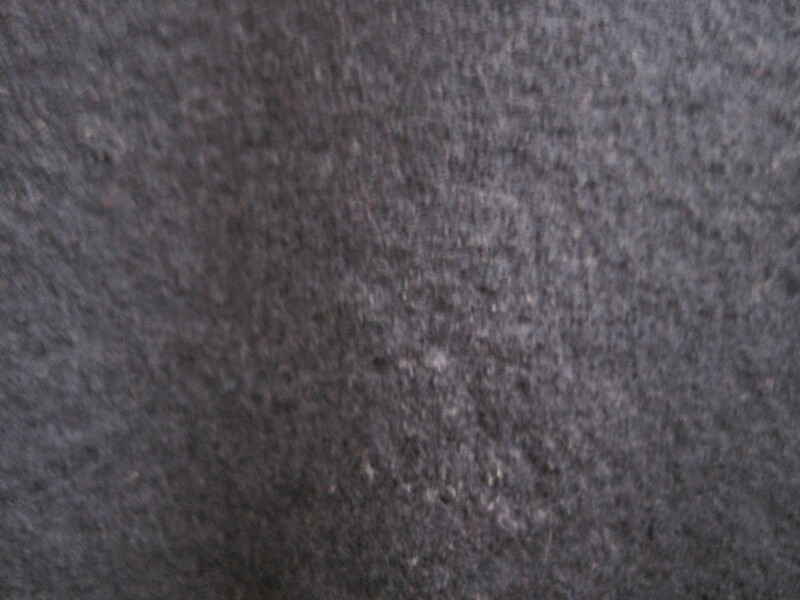 As you can see the stripes of the colors become more muted in the felting process. This was a great find–a very exciting addition to my stash. The best thing about this is the stripes! At this point I am wondering just how great these stripes are going to be once they are felted. Can you say AWESOME? I can. I love this. The stripes are all fuzzy now, but I sure do like it. This is a interesting one. 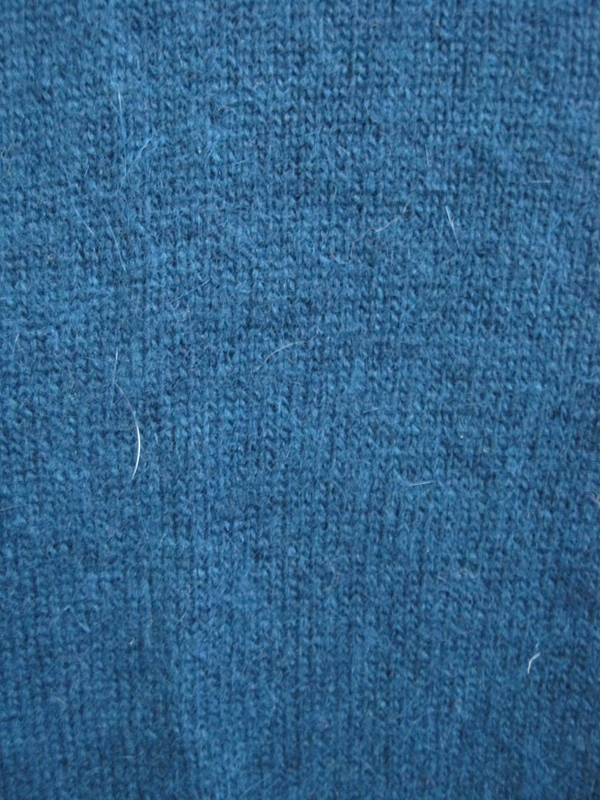 It is a vintage sweater by Kings Road–which was Sears brand back during Sears heyday. 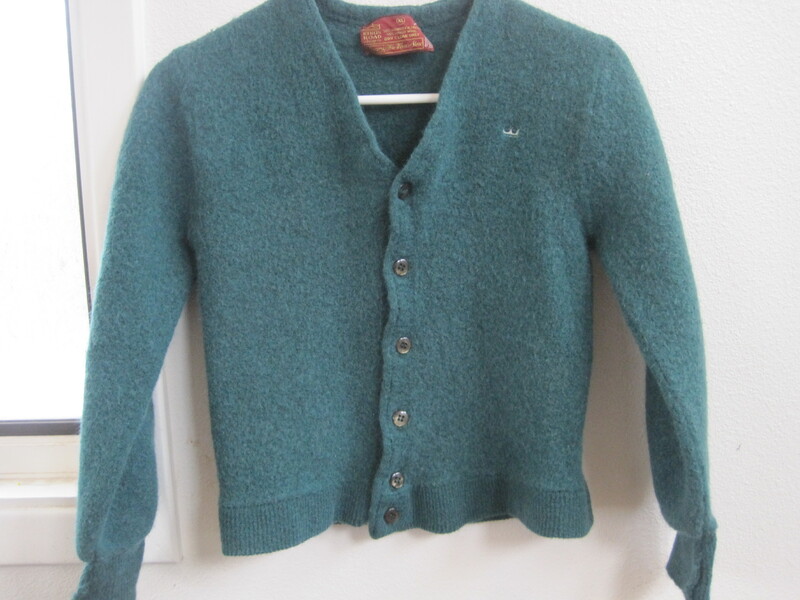 We’ve all seen these cardigans The original knitting is a bit loose, but felts up beautifully. This one is 50% alpaca – 50% virgin wool. 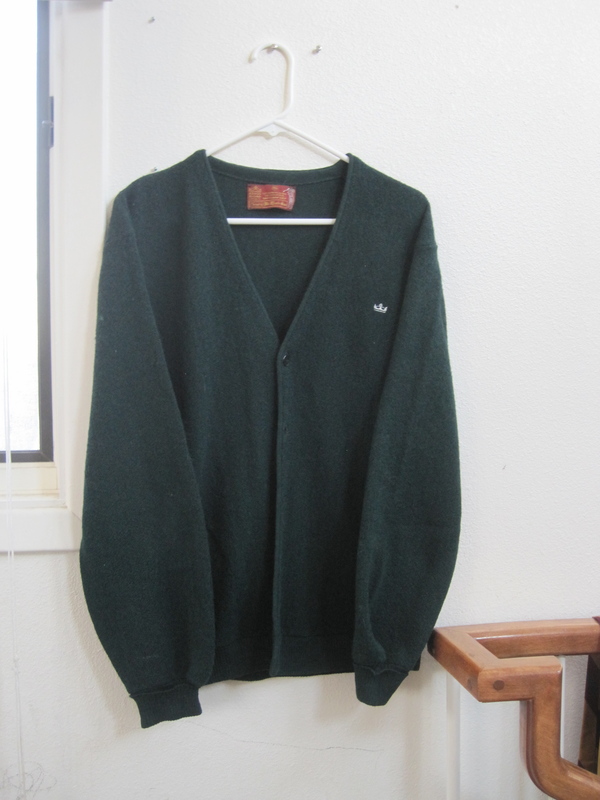 I have found that as long as the sweater is 100% natural fibers with at least 50% wool it will felt. I have not tried less than that yet, but if I get the chance I will. Does Wally want his sweater back or should we felt it? I vote for felting! This weave is so circa 1960’s. 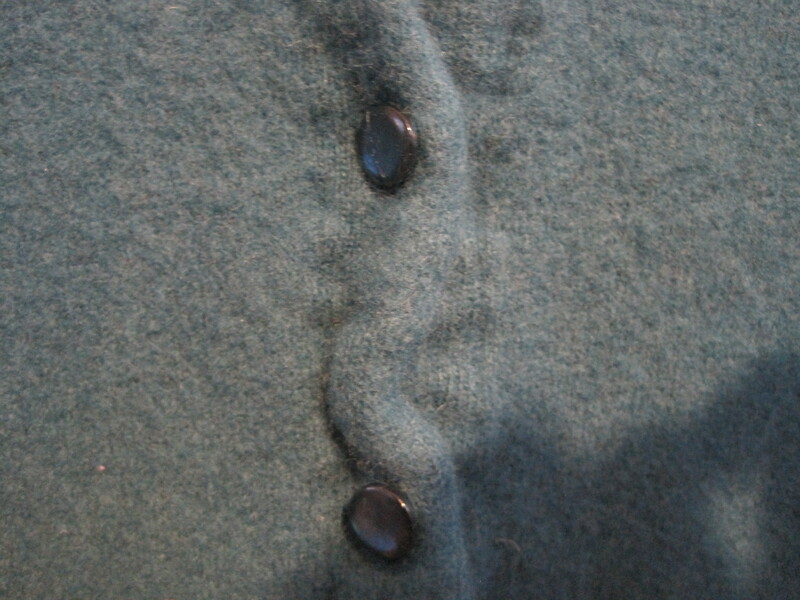 That circa 1960’s knit produces a really interesting finished felt. I am always looking to combine different textures in the patchwork of the sweater. Here is a Joseph & Lyman 100% merino wool. I have not seen this brand before, but I got good results. If it says 100% merino wool AND Dry Clean Only the sweater is a very safe bet. Merino is so beautiful and lovely to work with. 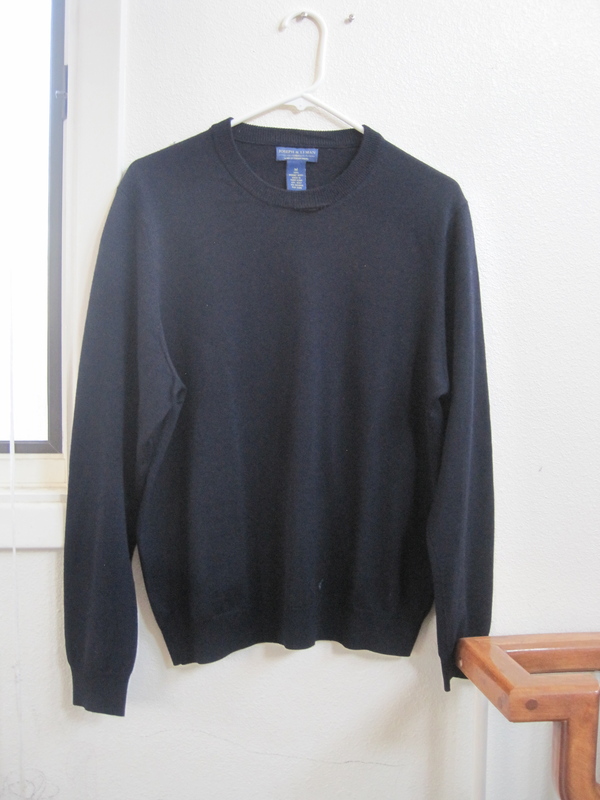 Here is your classic black merino wool sweater. So classic- so useful. The dependable black merino sweater at its felted best. Merino wool at its beautiful felted best! 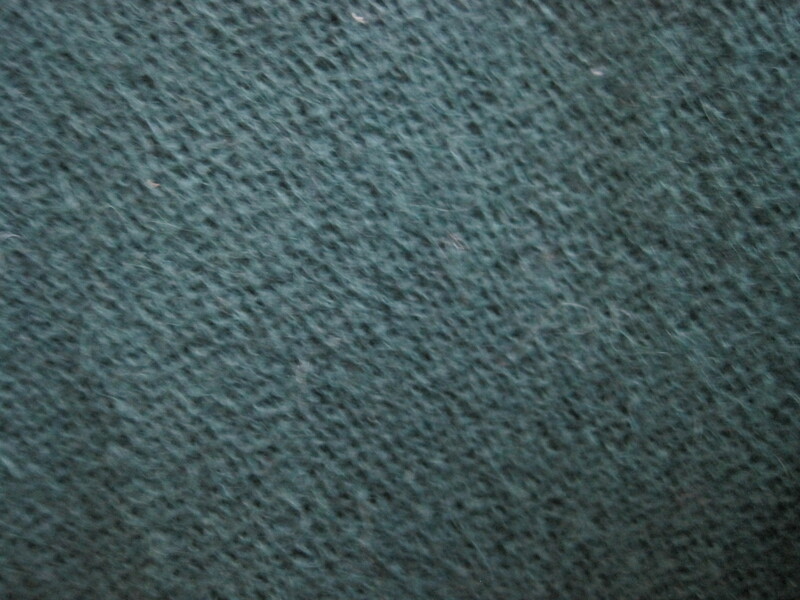 And finally, here is another one of my favorite combinations of wool and other fibers. 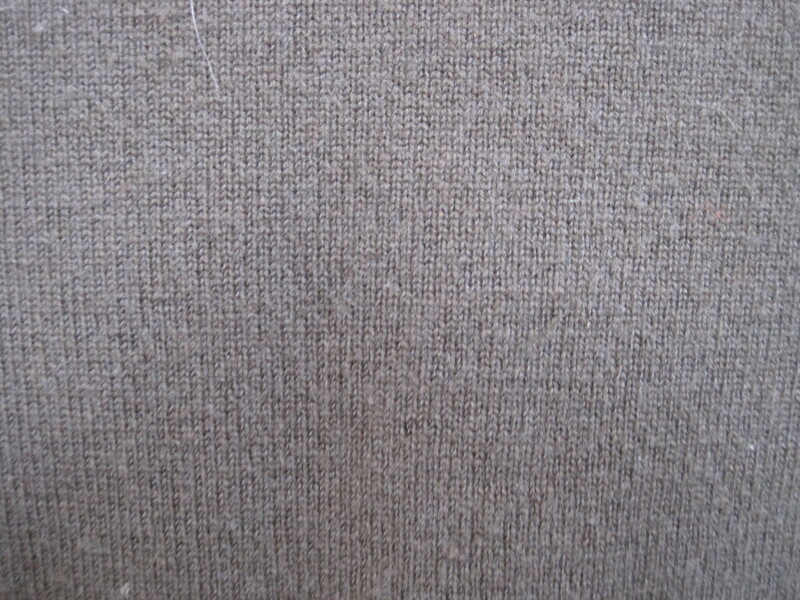 This is a Lands End 70% wool 20% rabbit and 10% nylon. It felts up beautifully. 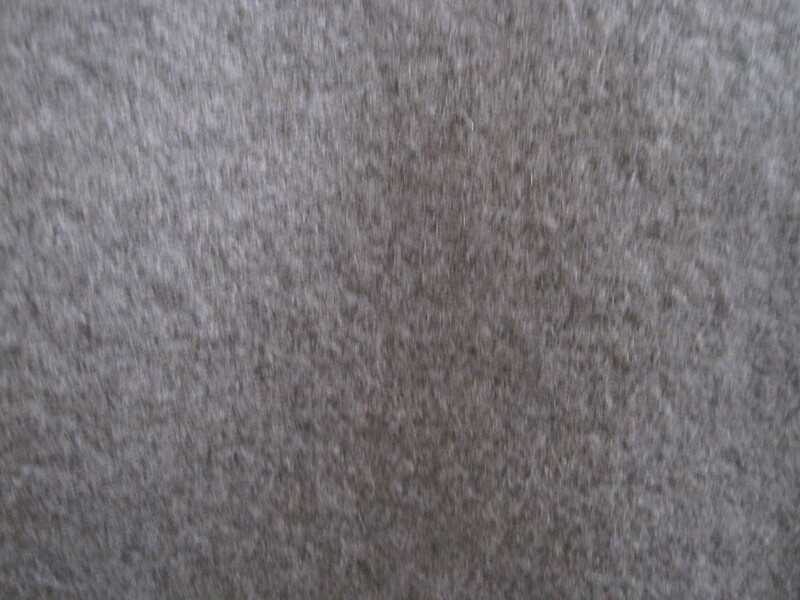 The rabbit or angora fibers really give the felted wool a soft hand. I always get excited when I get a pretty blue sweater to felt. 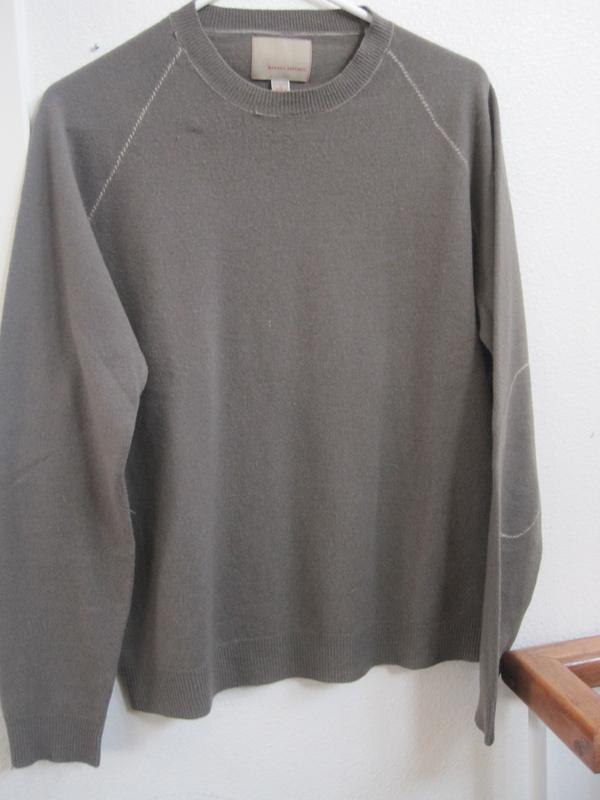 I prefer crew necks as they are easier to fillet–we will talk about that in an upcoming post. Look for it! The color is off here. It is as if you have to take the photo at high noon or wait until the next day for good lighting. 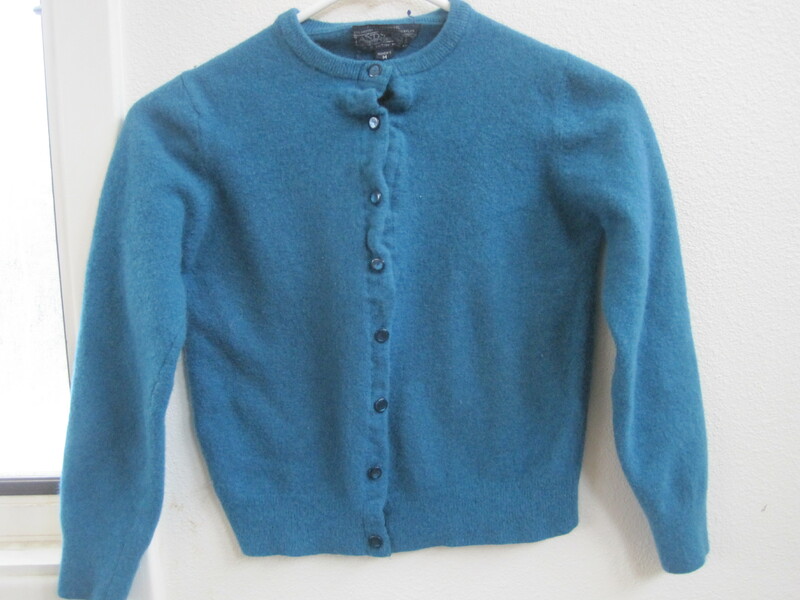 So, here is my final tip–if the sweater is covered nubby and of poor quality it is not going to be magically transformed into a beautiful sweater during the felting process. Trust me. More times than I want to admit, I have hoped for this transformation and been disappointed. I hope all of you find this information helpful in your sweater hunting–and if you see me in the aisles of a Salvation Army maybe you’ll share some of your secrets for tracking wool sweaters. Or better yet, you can leave a comment here. Sharing is caring. 13 Jan	This entry was published on January 13, 2013 at 8:46 AM. It’s filed under My Process- Clothing and tagged washing machine felting. Bookmark the permalink. Follow any comments here with the RSS feed for this post. heyho Maria, You should get an Ott light to do your photos under, they are made to reproduce sunlight like conditions. They are spendy but I got mine at Johanns during the black friday sale. You can get just the bulbs there too. About the LL Bean sweaters that didn’t felt but claimed 100% wool…they may be made from highly preprocessed merino that will no longer felt, same wool that Smart wool socks are made from. They heat and stretch it and other processes that keep it from acting as raw wool. Love the blog! Barbara- You are so right, but as a newbie I did not understand that. Now I do. Thank you for stopping by. You are having too much fun with this, I may have to try this out! Monna- It is great fun and it’s recycling! Mark- Are you sticking up for L.L. Bean! I bet you are right, but I wish they would share the information. I finally figured out if it says you can wash it in the machine it is not going to felt. Thank you for the tip about the Ott light. I have a little one, but I need to get a new light bulb. You have no idea how much it means to me that you like my blog. Thank you! YES! I learned that hard way and dyed a bunch of my families underwear pink. I don’t know what the big deal is, but they don’t like it. 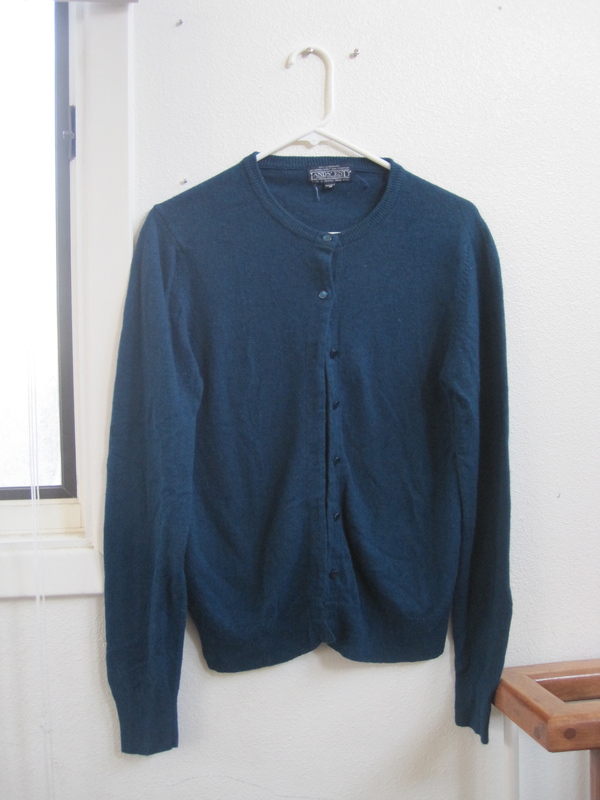 I’ve started grouping the sweaters and trying to dye them with like colors of regular clothes. So far I haven’t had any more accidents. ohhh this is interesting since we are all about repurposing stuff here. I take orders for a high end clothing company and all of a sudden know all about knits and what they’re made up – I’m amazed at the difference between my boiled wool jackets and my acrylic cardigans! So glad you linked up – join us any week! It is such a great idea and a lot of fun to be part of. 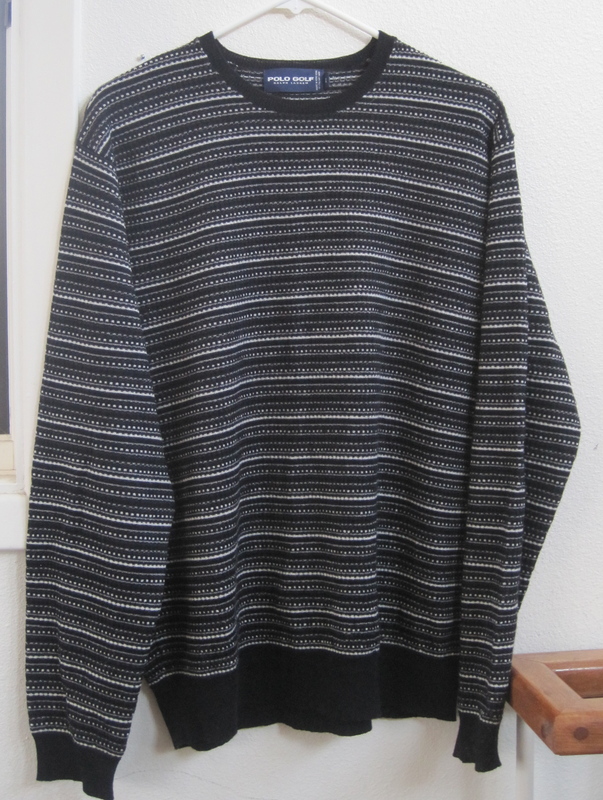 What do you use the sweaters that felt super thick for? I have a number of them and I don’t want to throw them out? That is a tough one. I have sewn with them, but they are difficult to work with. They are not to bad in felted mittens. I have also thought about doing a sort of satin stitch where the seam is butted not overlaid, but I have not gotten very far in that exploration. If you figure these things out, please let me know! Thank you for stopping by Karen. This is for Karen. I made a super bag/purse with part of a very thick felted sweater. 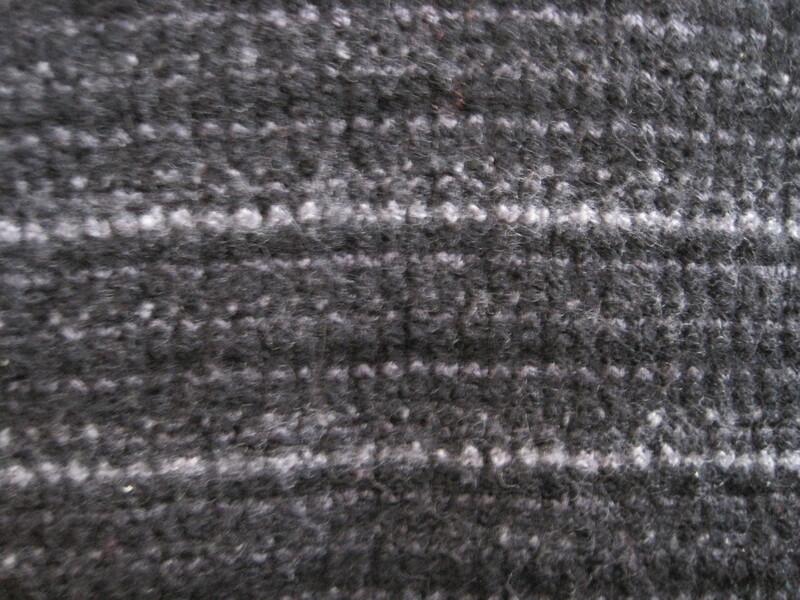 I used cotton yarn in a matching color for seaming and sewed it by hand. I even felted on an applique which felted on with ease. But I also wonder if this fabric is suitable for cozy slippers. I have been thinking that too! That I should use some of my felted wool for slippers. We could use them up here this time of year!